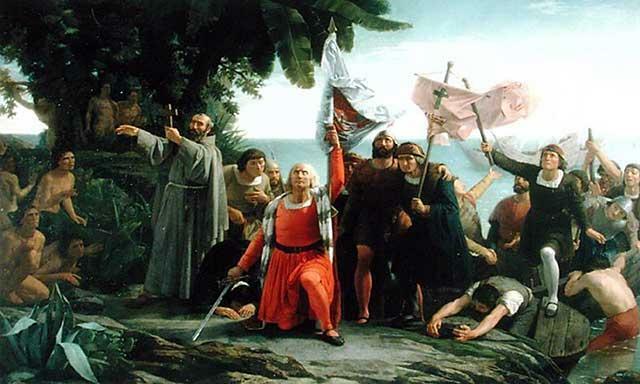 Which of the following was a primary reason France sought to colonize North America? List the different types of people you see in the picture. How many symbols do you see in the picture (at least 3), and what do they represent? Which 1620 document was signed by male members of the community to establish self-government for settlers at Plymouth? What economic policy is illustrated in the political cartoon above? Identify at least 3 symbols in the political cartoon and explain what they represent. From what point of view is the political cartoon, and do they agree or disagree with the policy? Explain. Which of the following is an example of subsistence farming? What is the significance of William Penn in terms of self-government? He was a member of the Virginia House of Burgesses. He was a member of the Pennsylvania House of Burgesses. He helped create the Mayflower Compact and establish the colony at Plymouth. He established a colony that had religious freedom and equality for all. He helped create the Fundamental Orders of Connecticut and establish the colony there.